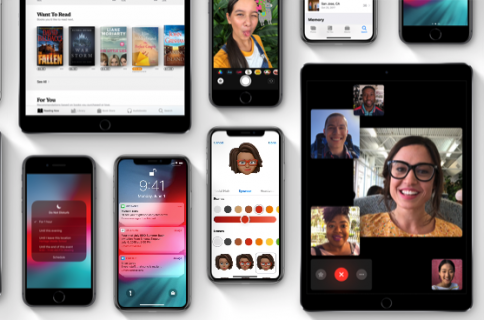 Apple’s major iOS 12 update is now powering 63 percent of active iPhone, iPad and iPod touch devices just a month and a half following its release on September 17, 2018 (44 days ago). Apple’s pie chart seen above shows that 63 percent of devices introduced in the last four years are now using iOS 12, as measured by App Store on October 29 and based on devices introduced since September 2014. iOS 11 is still running on 30 percent of devices introduced since September 2014 while older iOS editions are on seven percent of devices. 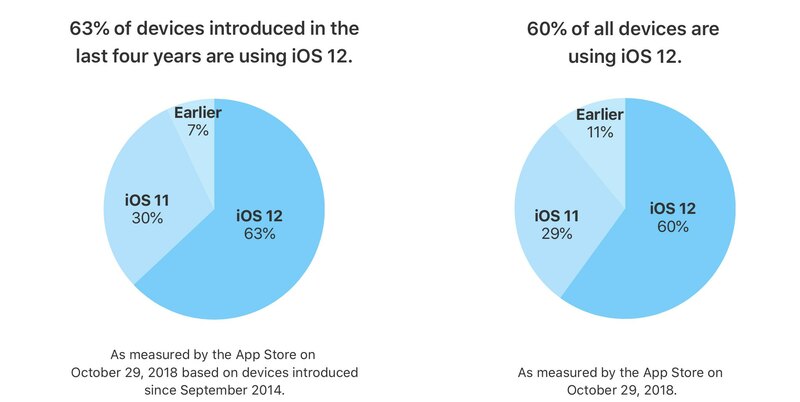 The latest stats were shared on Apple’s App Store support page for developers. In terms of all active iOS things in the wild, the company said that 60 precent of those run iOS 12, 29 percent run iOS 11 and 11 percent are on iOS 10 and older. iOS 12 seems to be on a nice upward trajectory. Announced in June and released in September, iOS 12 largely focuses on performance, security and battery-saving improvements, as well as added functionalities including ARKit 2, Shortcuts, Screen Time, notification grouping and much more. 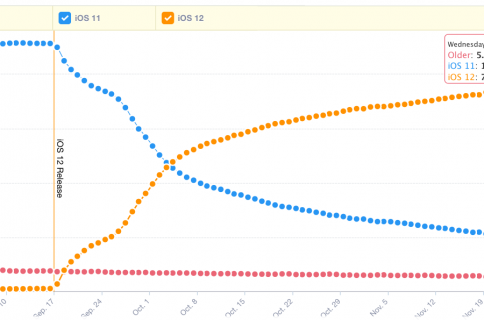 In comparison with iOS 12, 2017’s iOS 11 update had a slower adoption than 2016’s iOS 10. This can be blamed on the widely reported controversies, from an early HomeKit bug and vulnerabilities like Spectre and Meltdown to the accusations that Apple throttled the performance of older devices in software but failed to disclose the practice properly to users. 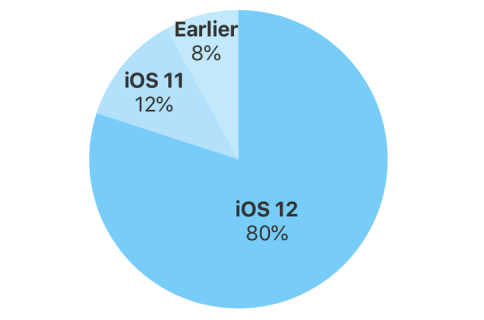 iOS 11 adoption rate topped 85 percent just ahead of iOS 12 launch.